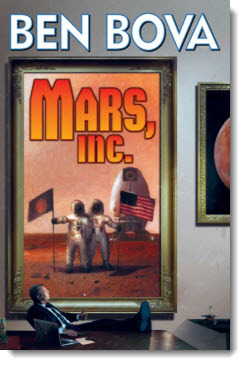 In this issue: red planet billions, guns and grit in Sweothi City, invasion U.S.A.—plus an in-depth look at a little known American space tragedy. Mercenary-thief Lorenzo is in one tough spot. Betrayed by the client, sacrificed by comrades, abandoned to his fate in an African city swarming with revolutionary soldiers trying to kill him. It will take every bit of grit, weapons knowledge, and cleverness the man known as Lorenzo has to do his job and survive. But Lorenzo has more up his sleeve than your average mercenary, and, in the end, perhaps it is the occupiers of Sweothi City who had better look out for him. A tale set in the world of Larry Correia and Mike Kupari’s upcoming military adventure novel, Swords of Exodus, sequel to Dead Six. 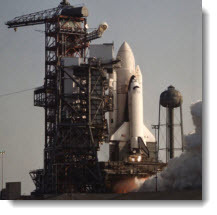 A groundbreaking, carefully reported account by a former mission control specialist of one of the worse accidents in U.S. space history: the deadly aftermath of a failure to adequately vent the interior of the space shuttle Columbia during a test firing. Here is the stunning account of how launchpad technicians and engineers heroically rushed to save lives during the terrible oversight, with some of those rescuers losing their own lives, or becoming permanently disabled, as a result. 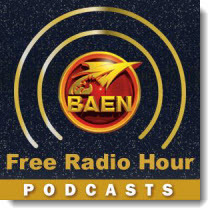 Interviews with your favorite Baen writers including Eric Flint, Larry Correia, David Drake, Sharon Lee & Steve Miller, and much more. 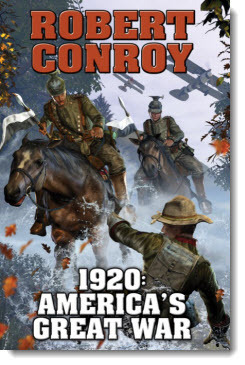 Plus the complete audiobook serialization of David Weber’s Shadow of Freedom. Advanced psychotherapy has transformed every aspect of society. Now that balance teeters with the grisly murder of two prostitutes and a series of suicides. Morgan Roche, commander in the intelligence arm of the Commonwealth Empires, has been charged with protecting the AI known as The Box. Now she must battle deadly inmates on a prison planet—her only hope a genetically enhanced warrior who could be the savior of the human race, or its downfall. Ultimately her quest will lead her to the ruins of Sol System. There Morgan Roche will uncover the final truth about the AI called The Box and about a genetically enhanced warrior who could be the savior, or the doom, of the human race. Saga includes The Prodigal Son, The Dying Light, and The Dark Imbalance. Groundbreaking science fiction, amazing classics, prescient tales of wonder—these are great books, many never available before, carefully edited, footnoted, and illustrated by science fiction eminence Ron Miller. Welcome to the future, where the bonds of family and the rules of courtship are redefined, survival-style. When O'Malley's cyborg father is killed and dismembered in the wastes, the three-hundred year old virgin sets out to find a missing skull and returns home with more than he ever imagined. 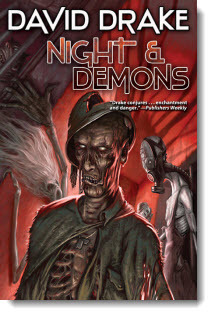 The first short-story collection by hard-SF rising star Brad R. Torgersen, Hugo, Nebula, and Campbell Award nominee and Writers of the Future winner. The novel of the forthcoming major fantasy film. In a decades-long war, a dragon created as an ultimate weapon becomes uncontrollable and wreaks havoc on both sides. Elenn of Adair has one desperate chance to defeat the monstrous dragon and see the rightful king crowned. The first high-tech thriller featuring FBI agent Craig Kreident. 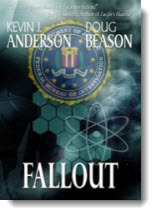 When a controversial nuclear-weapons scientists is murdered deep within a high-security area at the Lawrence Livermore National Laboratory, the FBI investigates the killing, but the government's own security may put an end to the case. The second high-tech thriller featuring FBI agent Craig Kreident. A radical militia group has infiltrated the Nevada Nuclear Test Site and they have managed to steal the components for a nuclear device. 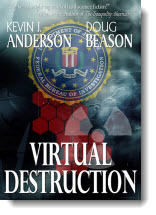 FBI Agent Kreident has to stop them before they can detonate the device in Las Vegas. The third high-tech thriller featuring FBI agent Craig Kreident. 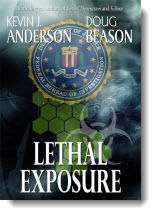 A Nobel Prize candidate is exposed to a lethal exposure of radiation at the gigantic Fermilab accerlator outside Chicago, and he is convinced it's not an accident. As he slowly degenerates toward death, he teams up with FBI Agent Kreident to solve his own murder. 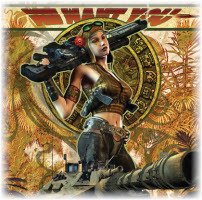 In this hard SF novelette, an A.I. 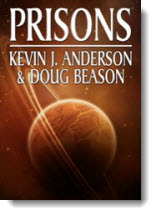 warden running a high-security prison on a hellish planet is held captive during an uprising of his own prisoners. To prevent the crisis, an outside commando has to determine how to break IN to one of the most secure prisons in the galaxy.